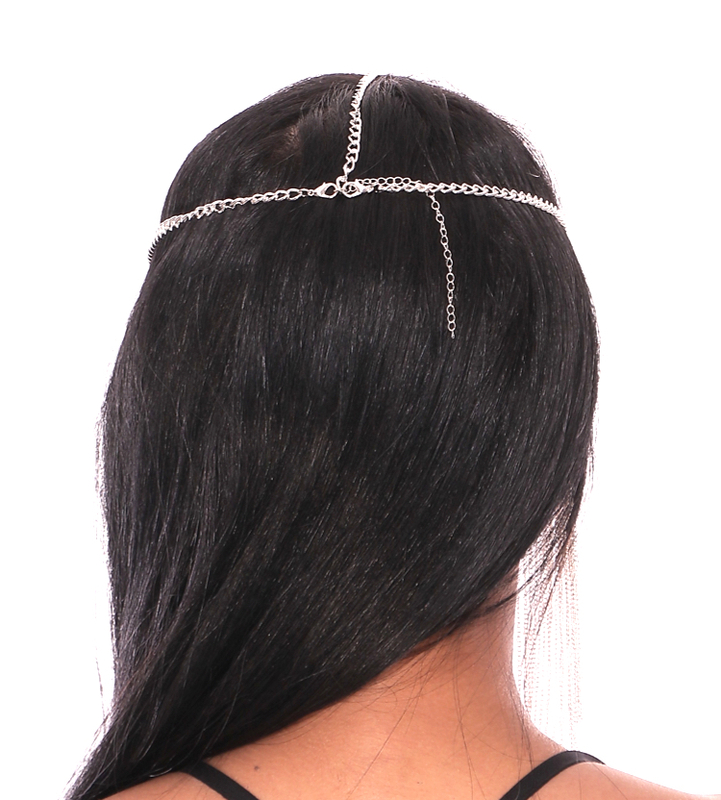 Add a dramatic touch to finish off your costume with this high quality silver metal chain face veil with chain fringe. Add a dramatic touch to finish off your costume with this high quality silver metal chain face veil with chain fringe. This face chain mask has solid chains that give it a heavier weight, adding a stunning look to any bellydance, Tribal, and Tribal fusion costume. Metal alloy base with silver plating. Attaches at back with side chains clasping to center chain; lobster claw clasps; small extender chain on center chain for further adjustment.